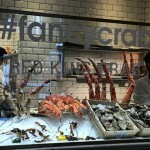 Rendezvous London | Absolutely Crabulous: A crawsome party. Absolutely Crabulous: A crawsome party. You’ve got to be quite daring to open a restaurant serving one thing on the menu. 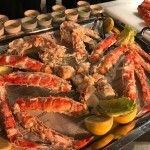 Rendezvous being a daresome crew were intrigued enough about swanky Marylebone eatery Fancy Crab that we decided to create an event for our fun-loving guests centred around the supreme ruler of this crustacean space; the noble Red King Crab. 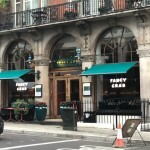 Fancy Crab on Wigmore Street is just minutes away from Bond Street station and a fantastic spot to drop into for lunch, dinner or a snifter and a snack. 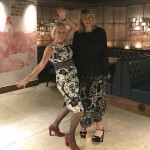 We were side-shuffled away to a private room tucked away under the main restaurant, with its own private bar and plenty of booths to dive (see what I did there) into for a sit down. 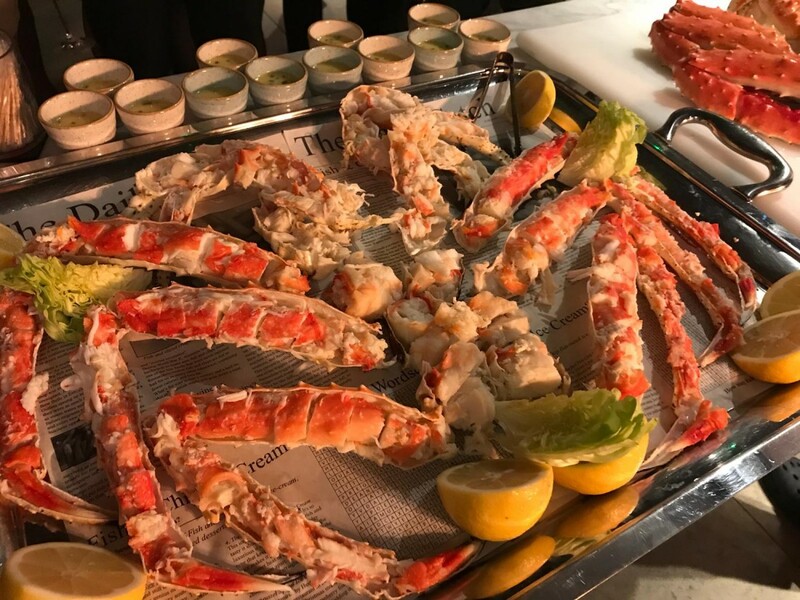 If guests, like me, were unfamiliar with the giant Red King Crab, fear not as we were treated to an awesome crab experience. Apparently, these fancy crabs are caught off the north coast of Russia, boiled and immediately frozen for maximum freshness. Fancy Crab’s head chef presented us with an enormous crab – I suspect with a leg length of 30 cm – however I was informed that this was merely a youngster as they can grow to five feet across – yikes! The leg meat is the whole point and the sweetest of them all, the Hermes of the shellfish world. 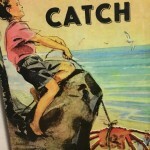 The monster crab was cut up in front of us (with a few legs that had been prepared earlier) aided and embellished by beautiful young assistant Lou Lou who keenly deciphered the chef’s Russian to bonkers English – well not really but never let a good story get in the way of a very good story. Lou Lou being ringside to the crab show handed me a wafer of crab meat and yowser did I get an unexpected taste bud jolt. 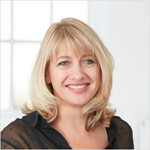 I’ve been to gin tastings and still not liked gin, whisky tastings and still not liked whisky. 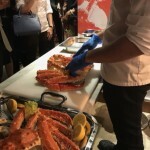 Red King Crab tasting …..and yabba dabba ding dong – I’m hook, line and sinkered. A taste bomb like no other. 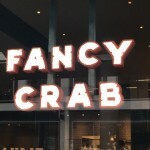 Date nights do you hear me, I want to go back to Crabulous! 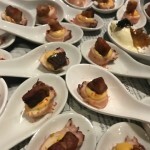 Thank you Evgenia and Luis for looking after us so well and for all your delicious canapes. 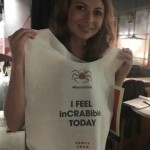 We really appreciated the wonderful goodie bags including crab bibs – what fun!